Brazil's original and authentic flip-flops for the livelier toddlers. A model based on one of cartoon's best known characters: Snoopy. Available in two different designs, with Snoopy and Woodstock, the bird. In the first, white, blue and red colours are given prominence, in the second, it is yellow and white. - Features an accessory with Snoopy's face on the strap. Brazil's original and authentic flip-flops for the livelier toddlers. A model based on one of cartoon's best known characters: Snoopy. Available in two different designs, with Snoopy and Woodstock, the bird. In the first, white, blue and red colours are given prominence, in the second, it is yellow and white. - Made in Brazil. - Material: Rubber sole. - Benefits: Comfortable, durable, lightweight, heat-resistant, non-slip and water-resistant. - Description: Greek key pattern on strap, rice grain pattern on top of sole; "brick" pattern on bottom. 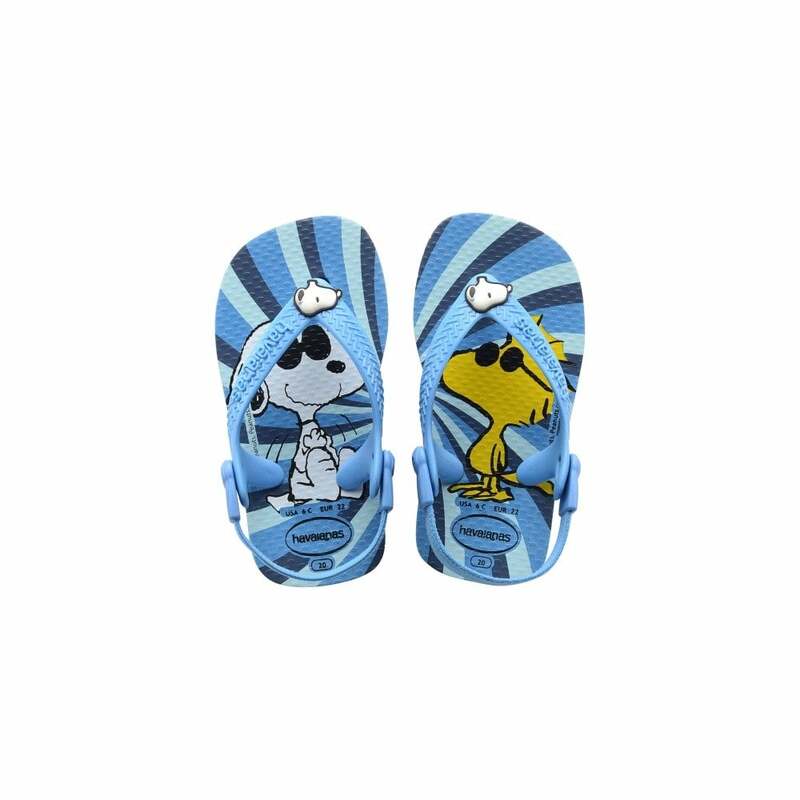 - Features an accessory with Snoopy's face on the strap.